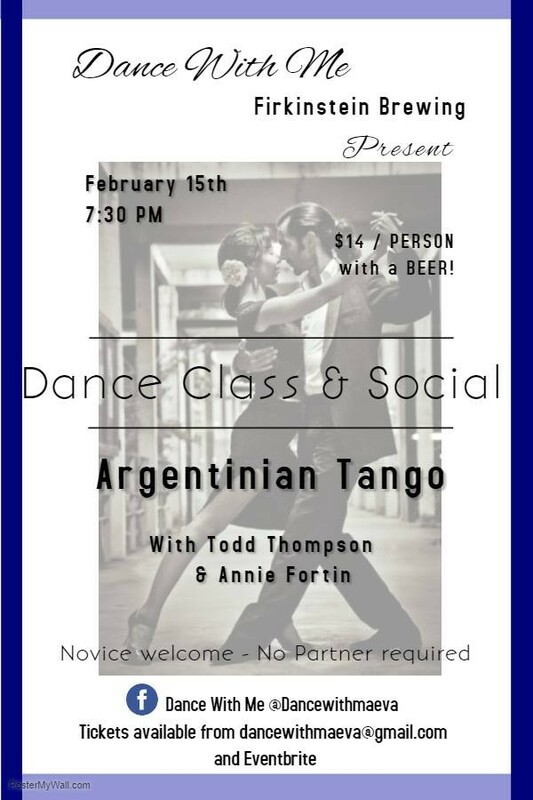 Todd Thompson and Annie Fortin will be back, this time in Bridgewater at the Firkinstein Brewing on February 15th for a Dance class and Social! If you made it to the Petite Winery this past October you know how fun it was to learn with them! Continue on the fancy footwork you learn then or start new! Its open to all levels!